August is my husband's birthday month, and already I've given him a couple of presents, included a red and black basket he asked me to make for his desk. 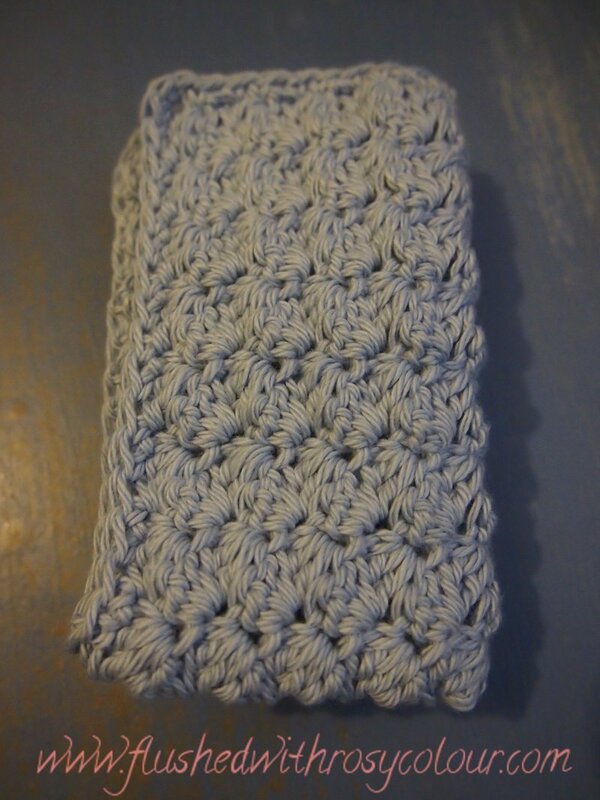 Here is another present that he asked me to make for him, a generously sized blue cotton dishcloth. 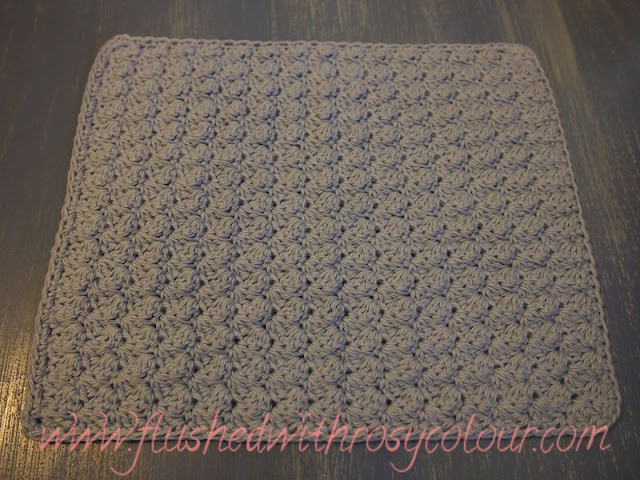 I used a vintage blanket stitch I saw on crochetspot, and edged with sc. The dishcloth measure 9.5 inches by 8 inches. I've made this dishcloth to test how well this stitch and size holds up in our busy kitchen. If I have some of these for sale in my online shop by Christmas, you'll know it did well!